The odds of some things happening by chance alone (like the creation of the universe and life) are highly improbable, and yet we know improbable things do happen. So how improbable does an event have to be to rule out chance alone? At what point should our doubts about something happening by chance alone cause us to reject that explanation as unreasonable? If something is highly improbable to happen by chance it may still be reasonable to believe that it will happen by chance, depending on the probabilistic resources. The probabilistic resources are the number of opportunities there are to generate the event. In the game of roulette it is improbable that the ball will land in the red 16 pocket twice in a row. In two spins of the wheel there are 38×38, or 1,444, possible outcomes. Therefore there is one chance in 1,444 of the ball landing on the red 16 twice in a row. So that’s improbable. But if a casino worker has 1,444 opportunities to spin the wheel in a week, he will quite likely witness this improbable event during that time. But how good are we at estimating the probabilistic resources for unlikely events? People realize that the odds of the universe and life itself coming into existence by chance alone are highly improbably but they may just think that the probabilistic resources are sufficient to make the unlikely event likely. With enough time anything can happen, we might think. William Dembski uses a coin-tossing scenario to illustrate the human tendency to over-estimate the power of our probabilistic resources. He tells the story of a man who had been arrested and convicted of running a crooked gambling operation. He was brought before the judge for sentencing and the judge decided it was appropriate to offer him a choice. He offered the criminal either ten years in prison or a term in prison that is determined by the outcome of a game of chance. 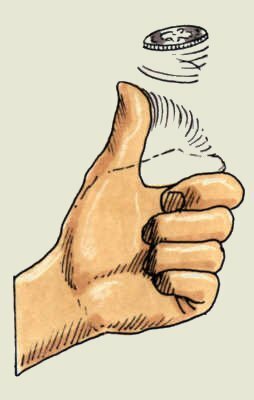 Specifically, the judge tells him that he can leave prison as soon as he flips a coin and it turns up heads 100 times in a row. Or course the coin must be fair. What should he choose? Ten years in prison or the coin-flipping option? He might think, “Even if it takes two or three years, I’ll be better off than sitting in prison for a guaranteed ten years.” However, his accountant sitting behind him hands him a calculator and reminds him that the judge is one of the people he fleeced in his crooked casino. But what’s he supposed to do with the calculator? The accountant whispers “Two to the 100th power.” Then it comes back to him. As a casino operator he knows something about calculating probabilities. He punches in 2100 and sees the figure 1.2676506 x 1030. He suddenly realizes that it’s a life sentence without any realistic possibility of parole. For any given 100-toss series, he would have only 1 chance in 1,267,650,600,000,000,000,000,000,000,000 of getting all heads. The ten year window isn’t enough to give him a realistic chance of flipping 100 heads in a row. Demski says that if a prisoner flipped a coin once every five seconds for eight hours a day, six days a week for ten years, he would only generate 17,797,120 trials. A hundred years isn’t even enough. A trillion years wouldn’t be enough. He should ignore his initial intuition and take the ten year sentence. Imagine that the criminal decides to go with the coin-flipping option. 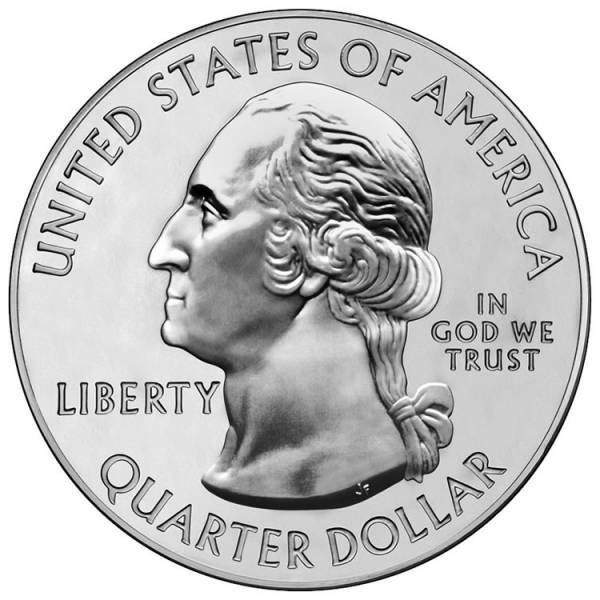 He begins to flip a quarter in front of a surveillance camera, as required by the court to verify any winning result. After two days, the criminal calls for a prison guard and asks to have the tape reviewed. After viewing the tape of the criminal’s last 100 flips, the guard and the warden verify that, yes indeed, the prisoner flipped 100 heads in a row. So what would the court conclude about the prisoner’s unexpected success? That the prisoner just got lucky on one of his first attempts? This is, of course, possible, though incredibly improbable. But knowing the odds and the prisoner’s probabilistic resources, the court, and probably you, would reasonably think that something else was up. The court would reasonably suspect that the prisoner cheated. So they investigate before releasing him, and sure enough, they find that the prisoner had snuck a biased coin into his cell. When something happens that’s highly improbably to happen by chance alone, when there aren’t the probabilistic resources for it, it’s reasonable to suspect that there’s else something up, that more than chance alone was at play. What’s the more reasonable position to take in the case of our “lucky” prisoner? I’m not sure how many of us would feel comfortable stating that we believe it was just incredible luck. A lot of people would think that such a position is rather naive. And yet when it comes to those who believe that “something was up” when it came to the creation of the universe and life itself – that, given the probabilistic resources for that, chance alone just isn’t a reasonable enough explanation – those who hold that position are somehow made out to be the naive, unreasonable, unscientific-thinking ones. Why is that? I think that we should follow the evidence wherever it reasonably leads, even if that goes against any presupposition we might have. If the evidence says that something was probably up in the creation of the universe, like there being an intelligent designer directing it all, I think we should be open to that possibility, or at the very least, acknowledge that it’s reasonable for others to do so. Do You See The Resurrection Like The Easter Bunny? With Easter being tomorrow, is the way you see the resurrection of Jesus like the way you see the Easter Bunny? The Easter Bunny is a nice idea meant to give those who don’t know any better something to look forward to and to be happy about. As we grow older we come to see that this couldn’t be real. (Santa Claus at least seems more believable to me now, at least he’s a man not a bunny who does this!) We come to see that the Easter Bunny was made up, with good intentions to be sure, but made up nonetheless. So what about the resurrection? Is that really any different? Historical Reality or a Made-Up Nice Idea? At this point in your life how do you really view the resurrection of Jesus? Is it a historical reality or just a nice idea that was made up, with good intentions likely, to give those who don’t really know better something to look forward to and be happy about? Like we did with the Easter Bunny when we didn’t know better, did some people in the past believe something when they didn’t know better, that we today, with all that we’ve learned scientifically, can no longer believe to be real? Could a man rising from the dead be real to an intelligent person today? I think a lot of people might wonder that today and some have already decided that it isn’t really believable. Sure it might give some hope to those who don’t know better, but it isn’t real. We might be tempted to think that the people in the ancient past who believed and passed on the idea of the resurrection were kind of like us as children believing in the Easter Bunny. They didn’t know any better. Without having learned the things we’ve since learned, they were more gullible. We might think that it was easy for them to believe that Jesus rose from the dead. They were just told it and believed it without even questioning it. But were they really like that? Were they so gullible and easily swayed? I say that they were not. Yes, we’ve learned some things about how things really work but they were no less intelligent people than we are. It’s a bit arrogant for us to believe that they were so gullible. Even Jesus’ inner-most circle of disciples didn’t believe it easily at all. Even 2000 years ago people didn’t believe that people could just rise from the dead. Before going to the cross Jesus repeatedly told them that he was going to die and rise again. But did they believe it? No, this went in one ear and out the other. When he was crucified they were disillusioned. This man they had followed and thought was the Messiah was dead and gone. They didn’t wait expectantly by the tomb, waiting for his resurrection like he had told them. No, they fearfully went into hiding, wondering what they were going to do with their lives now. The women went to the tomb on Sunday morning, not expecting to see Jesus risen, but to prepare his body for it’s final resting there in the tomb. But they found the stone rolled aside and Jesus’ body was gone. They were told that he had risen just as he said. So the women ran back to tell the disciples the news. And did the disciples just easily accept this, after all it’s what Jesus had said would happen? No. Luke 24:11 says, “But they did not believe the women, because their words seemed to them like nonsense.” Do you still think they were gullible? Some of us today might believe it easier than they did, having seen Jesus do miracles and having told them this is what would happen. Thankfully God knows that we can find things hard to believe, whether thousands of years ago or today. Jesus knew this. He knew that people don’t just easily believe that someone rose from the dead. And while he would have been pleased if they had just taken him at his word, he provided the evidence that they needed to be able to believe. He appeared to them and let them examine the nail holes in his hands and feet and where the spear had been thrust into his side. He ate food with them. He walked with them. And it didn’t just take one appearance to convince them. You may not realize this but he spent forty days with them convincing them. They didn’t believe easily. They wouldn’t find the Easter Bunny to be any more believable than you or I do, and they wouldn’t have found the resurrection to be any more believable than people today would, except, Jesus appeared to them and presented evidence that their intelligent minds could no longer deny. And because they were so convinced in this way, their lives could never be the same again. God had entered the world in Jesus Christ. He had died n the cross for their sins and for ours, and he had risen from the dead! And so they went from hiding, cowering in fear, to going out and boldly telling everyone what had happened, because how could you keep news like this to yourself?! Jesus doesn’t appear to you and I today to convince us, but the historical evidence is there for us to explore. I encourage you to read a series of posts I presented on this evidence a couple of years go. There are five minimal facts of the resurrection that almost all scholars accept, even the skeptical ones. 1) Jesus Died By Crucifixion, 2) Jesus’ Disciples Believed that He Rose and Appeared to Them, 3) The Church Persecutor Paul was Suddenly Changed, 4) The Skeptic James, the Brother of Jesus, was Suddenly Changed, and 5) The Tomb was Empty. Put together these facts of evidence present a case that I cannot deny. I believe that no other explanation can explain the facts other than that Jesus Christ did indeed rise from the dead. See what you think. Happy Easter! He is Risen! He is Risen, Indeed! This Thanksgiving weekend one thing that I am definitely thankful for is having a God that doesn’t just say, “Believe, even if there’s no evidence, believe in me blindly.” Some people have the impression that being a Christian in today’s world means checking your brain at the door and believing things in spite of evidence to the contrary. Like Christians are holding on to something which may have been believable in a past day when we just didn’t know enough. However, I believe that the Christian worldview is something that you can come to by a logical, rational examination of the evidence, if you’re willing. And this is so because God has provided us with a lot of evidence that we can examine. God didn’t have to provide us with evidence. He could have just demanded blind faith and obedience. That would be his right as creator, but I’m thankful that what I see in the Bible is a God who understands the human beings he has created. He knows that we have questions and don’t want to believe something just because we’re told to. We don’t want to believe something that isn’t true. We don’t want to get taken. God has given us minds to think and reason with and so he’s not surprised when we have questions and want to see evidence. I think this is true of all of us to some extent, and for people like me, who think like I do, this is VERY important. So I’m thankful that God understands this and isn’t threatened by it. How have I come to this conclusion? Because time and again in the Bible I see God providing evidence to help people believe. God understands me and, because he loves me, he has provided evidence to help me believe. Even when those moments of doubt come, when I ask myself, “Is it really all true?” and I wonder, “Is it worth living this Christian life, following after Jesus? Maybe it would be easier to just abandon it all and live however I want.” — when those moments occasionally come, the evidence is still there and I can’t escape the rational conclusion that it is all true and it makes the most sense to me when looking at all the evidence. God is real, he made us. Jesus is real and he is God in human flesh, shown by his resurrection from the dead. And Jesus loves me, in spite of my sins and failures and wants the best for me and wants me to know him and live in his love. I’m thankful that when I think of all God has done for me and I want to share that with others, that he has given me something solid and objective that I can share with people who have questions like I did. It’s important for us to share our stories of what God has done for us. As some have rightly said, people can’t argue with what we say has been meaningful and helpful for us, but that doesn’t stop them from just saying, “Well that may have helped you but that doesn’t mean it’s true for me.” So thankfully there’s more that we can share, along with our testimonies, that is objective and can’t just be easily brushed aside. There is evidence that we can and should share that people can examine objectively. For those who are open and seeking the truth, the evidence we share can be used by God to answer their questions and help bring them to faith. And for those who aren’t open, they can continue to write off Christianity, if they so choose, but they can’t do so making the claim that there’s nothing objective to it, that it’s just a bunch of non-sense that has been rationally disproved. You can’t argue someone into becoming a Christian, but by sharing the evidence God has provided — evidence of creation, evidence of the resurrection, evidence supporting the truth and reliability of the Bible — we can remove a barrier that stands between them and faith, or a barricade that they are hiding behind so as not to have to face God himself. I’m thankful that God has provided us with truth, truth that I can stand on and truth that I can share. Do you ever feel small and insignificant? I want to tell you that you’re not. I hope you’ll take a few minutes and read this. I went to Chipotle with my wife the other day for BOGO tacos. The tacos were great as I expected but I also got something I didn’t expect, something I want to share. Little did I know that BOGO would really stand for, Buy One taco and Get One blog post. 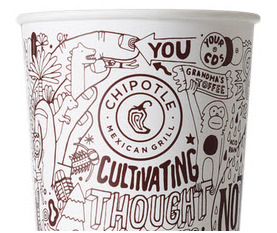 You see Chipotle puts some writer’s thoughts on their drink cups, along with some artwork, something to think about while you eat your lunch. It’s their Cultivating Thought Author Series. The title “Two-Minute Entreaty” on my cup caught my eye. It was written by Anthony Doerr. “We are each no more than a spark, a mote illuminated for a split-second as it passes through a beam of light. I don’t know about you, but his encouragement didn’t do much to give me hope after the bleak, hopeless and purposeless picture he had just painted. You’ve still got some hours left. Go do some stuff while you still can, before your life falls away like nail filings. As insignificantly it started, your life will end. End of story. What leads me to share? I mean no disrespect to Anthony Doerr. He’s entitled to his view of the world and a lot of people agree with him. But after reading his entreaty I wanted to share one of my own because I believe that there is much more hope and purpose and significance for us in this life than what his view allows. Now some of you might think that a big issue for me with his view is about the age of the Earth. The view that the Earth is 4.5 billion years old and humanity has only been around for the last little bit might make us feel small but I don’t think that’s the issue. That doesn’t matter that much to me. I don’t think the significance of our lives is dependent on whether the tattoo of Earth’s timeline goes back to the top of your hand or the top of your shoulder. To see your significance you instead need to turn your hand over and look at your palm. Look at it right now and imagine that you’re looking at the palm of Jesus. What do you see there? I see the hole that was put there as he was nailed to the cross. You and I can know that we are significant and so very valuable in the grand scheme of things because the one who made the earth, and us, was willing to come and even give his life for us so that we could know him. He loves us so much that he died for our sins so that we can be forgiven and have a personal relationship with the one who made us in his image. So here’s my entreaty. Don’t look at your finger nails, instead look at the nail holes in Jesus’ hands. That’s what shows you your significance and getting to know him gives us purpose and hope in life. And as we get to know him and his great love and hope, he wants to use us to share those with others. I believe that you have a lot more than just some hours left and it’s my hope that you will find and live the life that God has given you in the love and hope of Christ. If you haven’t read my blog before and you should think that I hold this view of the world that I do just because it makes me feel better than Mr Doerr’s view, I encourage you to read some more while you’re here because I have been presenting the reasons for the hope that I have in Christ. I believe that the evidence is convincing that God made the universe and life and that Jesus really came and died and rose again as the Bible says. I encourage you to explore the evidence and see what you think. You can read Anthony Doerr’s full entreaty here. Last week we looked at this misconception and I said that one of the reasons there are so many different English translations is because there are different approaches or philosophies to translating. These different approaches produce translations that are good for different things. Someone follows one approach to produce a Bible translation that’s good for reading, while someone else follows a different approach to produce a translation that’s better for serious study. Let’s take a look at these different approaches. The two main philosophies for translation are word-for-word translation or thought-for-thought. With word-for-word translation you try to pick the best English word for each Greek word, for example. This is a very literal way of translating. With thought-for-thought translation you translate more at the thought level, rather then taking each word individually. So this is taking the thought in a Greek phrase, for example, and putting that into an English phrase that best communicates that whole thought. To help you grasp the difference let’s look at a modern example . Say you wanted to translate ¿Cuántos años tienes? from Spanish to English. If you wanted to translate it word-for-word, very literally, it would be how many (Cuántos) years (años) do you have (tienes)? However, if you wanted to translate it thought-for-thought, it would be How old are you? Do you see the difference? Now, our natural tendency is to think in terms of “Which is the best way to translate?” And with the example above most of us would probably go with “How old are you?” because that’s how we talk in English. Though we can understand someone asking how many years we’ve had, that’s not how we’d say it. However, I’d say that there’s not one best way to translate. A thought-for-thought translation is certainly going to be easier to read, because it’s going to be written more like we talk, but readability isn’t the only consideration. When you’re wanting to do some serious study of God’s word you often want to know exactly which words were chosen by the original author. Say the author repeats the use of a certain word several times in a passage. In a translation that more word-for-word you’ll see that in English, with a translation that’s more thought-for-thought, this might be lost as it’s put more like how we’d say each of those thoughts today. So for the purpose of serious study, a literal word-for-word translation is going to serve you better. Rather than thinking in terms of “What’s the one best English translation?” I think it’s better to think in terms of “What are some good translations for when you want to do a lot of reading?” (maybe when you want to read the whole Bible over the course of a year) and “What are some good translations when you want to do some serious study?” (maybe when you want to dig in and see what the Bible says about a controversial issue). I’m thankful that we don’t have just one English translation. I’m glad that I can choose from several translations and even compare them. By comparing several translations you might get the best sense of the meaning. In the past that would have meant spending money on several translations but today you can access several translations for free online, like at biblegateway.com, and you can even put multiple translations on the screen side by side. The chart above from Zondervan shows where several popular Bible translations line up on the Word-for-Word / Thought-for-Thought spectrum. 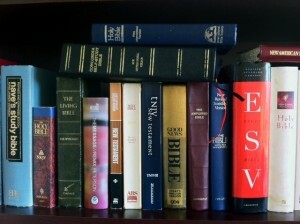 On the far right are The Message and the Living Bible. These aren’t truly translations but rather paraphrases where one man has put the text into his own words. These can be helpful for a fresh perspective but they shouldn’t be confused with scholarly translations. More in the middle is a very popular translation, the New International Version (NIV). It’s been around since 1973 but was recently updated in 2011. For many, this translation strikes a good balance. If you’re not sure where to start, I’d start here. 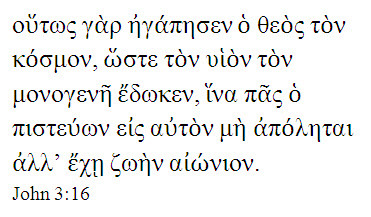 Another popular translation, a little further to the thought-for-thought side, is the New Living Translation (NLT). I’ve really connected with how this translation puts things many times. For an example of a how you can do a side by side comparison click here. So I hope you can see that having several translations available is a good thing and I hope that you’ll spend some time on a regular basis getting into God’s Word. If you’ve already placed your faith in Christ it will help you to grow closer to him and if you’re still checking out Christianity, why not let the Bible speak for itself? Some have said that you can’t really trust the Bible, after all, it’s been translated so many different times. There are a lot of Bible translations, even a lot of modern English translations. Some people imply that there are a lot of differences between the translations and so we can’t tell what it’s really supposed to say. But do all the translations affect the trustworthiness of the Bible, as some might think? Let’s explore this together. What Are All the Translations Translated From? There are a few different issues involved in the misconceptions stated above. One deals with the source of all the translations. The Bible was originally written in Hebrew (Old Testament) and Greek (New Testament) (with a little bit of Aramaic thrown in in the Old Testament). So how were all the translations made? Some envision it this way. 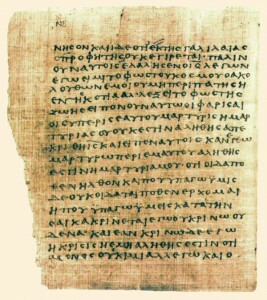 The Bible was translated from Hebrew and Greek into some other language, Latin for example. Then it was translated from Latin into some third language. Then it was translated from that third language into a fourth language, and so on, until it was finally translated into English. And so some people might think that our English Bibles today are a translation of a translation of a translation, and so on. Now if that was the way it happened, I’d agree that you would wonder about it’s trustworthiness. It would be like the telephone game where one person tells a story to another person, who tells it to another, and so on, and by the time it gets around to the end, the story has changed a lot. But that’s not how the Bible was translated. When the Bible is translated it is always translated directly from the original Hebrew and Greek into the language of that translation. They are not translations of translations. In the case of each of the English Bible translation you see on a store’s shelves, the translators worked from the original languages and did what they thought was best to translate it into English. What Are the Differences and Why Do We Have So Many in English? Naturally, whenever there’s more than one translation of something there are going to be differences. English has a lot of different ways of saying the same thing and no two people talk or write exactly alike. Two different translators (or teams of translators, as is the case with each major English Bible translation) are going to translate in slightly different ways. They are going to make different choices and so there will be differences, but each translation should mean essentially the same thing. So, yes, there are lots of differences between English Bible translations, but they are pretty minor and if you compare several translations I think you’ll find that they all say basically the same thing. It’s not as though one translation says “love your neighbor” and another says “loathe your neighbor”. But why are there so many English translations? The Bible was first translated into modern English in the 1500s. The well known King James Version was translated in 1611. Since those days the way we speak English has obviously changed. While you can still understand those first English translations, it can be a challenge. God chose to have the Bible written in the common language of the people of those days. I believe he wants everyone to be able to read and understand his word. So since English continues to change, I think it’s good that we continue to have updated English translations so that everyone can easily read and understand the Bible. The second reason there are so many English translations is that there are different approaches and philosophies to translating. These different approaches produce translations that are good for different purposes, reading, study, etc. Next week we’ll look at these different approaches and compare some of the more common translations produced by them. As we do I think you’ll see that having a lot of translations is a good thing, not a bad thing. I believe that God has seen to it that the Bible is trustworthy and is available for you and I to read and understand today. Have you read it lately? For a convenient online resource with several translations I recommend the Bible Gateway, it’s available in a browser version and a mobile app. Access to God’s word is easier than ever. Come back next week for part two.